Originally formed in 2013 in Gibraltar, Angelwings got together to perform covers of Nightwish songs. A year and a half later they started writing their own material, and June 23rd will see the release of the resulting debut album “The Edge Of Innocence”. In the time in between their demo tracks have seen radio airplay internationally, and they’ve shared the stage with the likes of Saxon, Kings Of Leon and Duran Duran. So how does the album hold up?The production value is top notch. Musically, there are some very nice arrangements throughout this album which highlight the ongoing musical influence that Nightwish have had on Angelwings. The highlights on this album include “Lillith”, which features some beautiful composition, Divi Cano’s lovely vocals, and a beat that will get stuck in your head. “The Fallen” is another highlight, as it alternates between melodic vocals and a heavier sounding rhythm. “Memories” is a softer track, which showcases Divi Cano’s vocal capabilities more than anything else on the album and features some very heartfelt guitar work, “Legend & Myth” is another good example of this as it contains some very good vocal arrangements and harmonies. “Forbidden Love” is another good, uptempo song which i really enjoyed. Verdict: 8.5/10. There wasn’t a bad track on here. Although there were a couple of songs that didn’t grab me as much as the others did at first, the more i listened to the album the more i enjoyed them. Overall, this was an excellent album that i really enjoyed, listened to repeatedly, and am hoping to get a copy of myself. I am highly recommending this album, and I’d say this has been one of the strongest debut releases I’ve heard so far this year (the other being One Desire). I’d especially say to check this out if you like Nightwish, Edenbridge, Within Temptation, Delain, Evanescence, or Epica. Doubly so if you enjoy the female vocals of those bands but don’t like the growls. 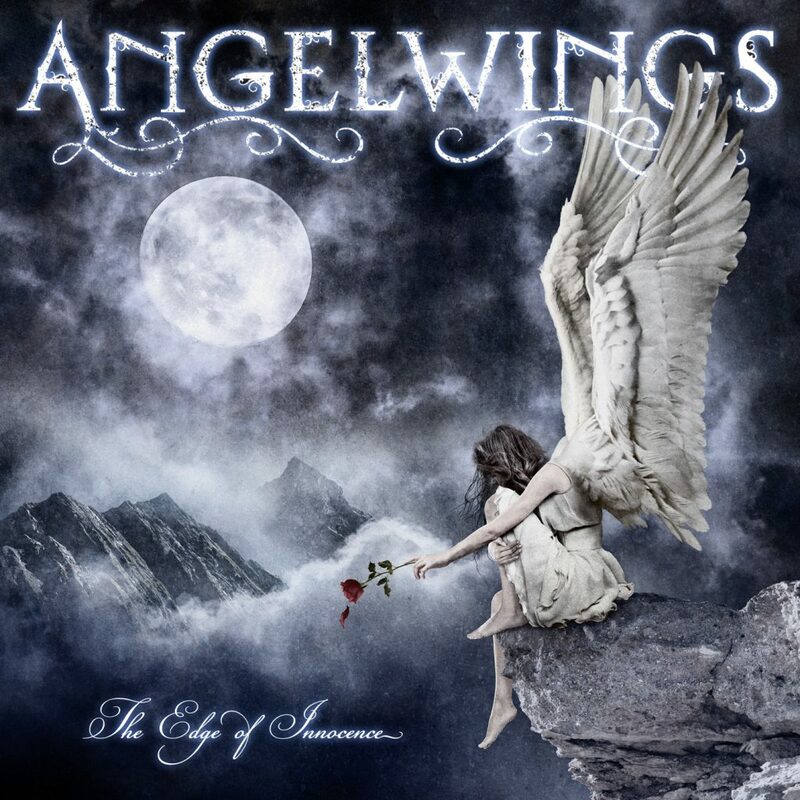 “The Edge Of Innocence” by Angelwings will be released 23rd of June through Pride and Joy Music.